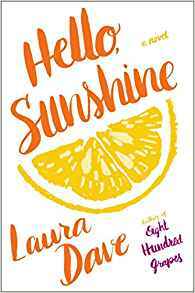 Laura Dave is the author of the new novel Hello, Sunshine, which focuses on a celebrity chef whose life goes awry. Dave's other novels include Eight Hundred Grapes and The First Husband. She lives in New York. Q: Truthfulness is a major theme in your new novel. Why did you choose to focus on that, and on the impact that social media can have on how people present their lives? A: There are many people who thrive on social media, though I've always preferred person-to-person connections. I feel there is a cost to ignoring the person sitting across the table from you in order to write a post to friends on the internet. And, in trying to win over those friends on social media, everyone presents an altered view of themselves. Who isn't guilty of it? And while a small fabrication or carefully crafted status update in it of itself isn't dangerous, these small removes from the truth seem like they will take you away from yourself a little bit of a time. And this was what I wanted to explore in Hello, Sunshine. Q: The novel is set around the world of cooking and food. Why was that an area you decided to explore? A: I love it! I cooked every recipe in Hello, Sunshine - and love to spend my downtime in the kitchen cooking for family and friends. It was a great world to set Sunshine in, because its a fun world - delicious and enticing - but its underbelly speaks to Sunshine's. What's real, what's pretend. Q: The novel is set mostly in Montauk, Long Island. How important is setting to you in your work? A: It's very important. I like to put novels in towns at the end of the world. West Sonoma County, Montauk. These places involve community in a way that is fitting for telling a story about a woman remembering herself. 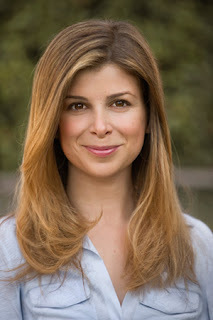 A: I'm writing the screenplay for Hello, Sunshine with my husband for Amy Pascal. It is so great to give Sunshine a second life. A: I'm writing a new novel with a male protagonist. It's a lot of fun and I'm really enjoying. --Interview with Deborah Kalb. 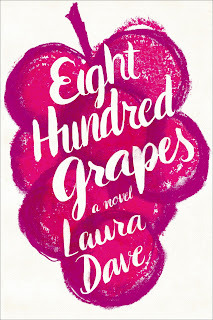 For a previous Q&A with Laura Dave, please click here.